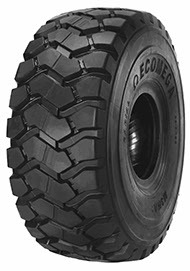 M3HA+ is the most versatile E3 radial tyre by ECOMEGA with a non-directional tread pattern design. Reinforced casing with 2* load index suitable for articulated dump trucks for loading service as well as quarry loaders. 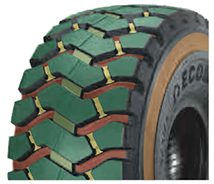 The right tyre for the harshest conditions, such as sand, rock, soft soil and mud. Excellent traction and stability, maximum comfort for the operator. Stable, smooth and silent ride in long haulage and high speed. Thanks to the large footprint and the square shoulders the tyre provides a regular load dispersion on the ground, maximum traction on soft soil and great mobility on all grounds. Excellent for front loaders fitment, for quarry applications and all other underfoot conditions.